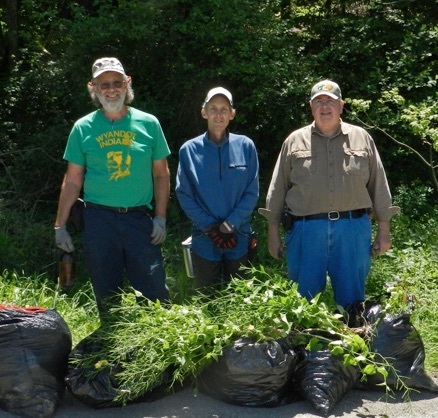 We need your assistance to combat the Garlic Mustard and invasive scourge on our properties. We know garlic mustard pulling is not the most glamorous activity but it is badly needed and we cannot do it alone. Seth Rankin, AOA’s Stewardship Director is on our preserve properties frequently this time of year working to control the many invasive threats. We are continuing to focus on garlic mustard for the next several weeks until they have all been pulled or gone to seed. If you have some time and would like to volunteer to help Seth please call him at 937.728.4026 or email at rankins7@yahoo.com. He would welcome your company and assistance and can coordinate arrangements. 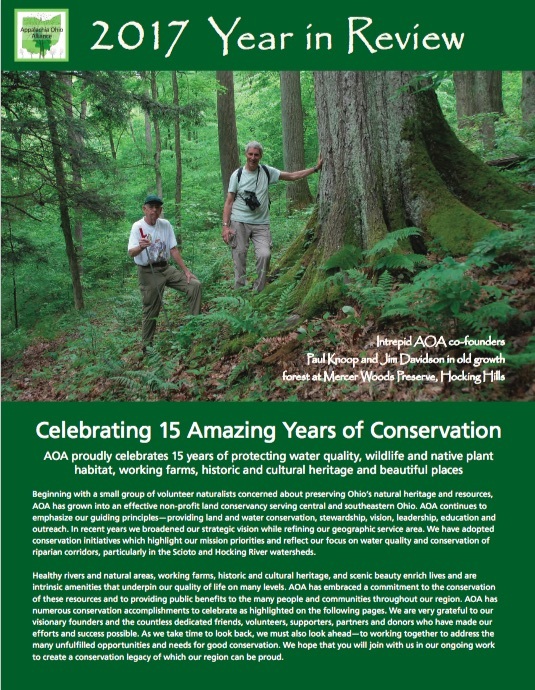 A calendar of AOA’s publicly scheduled invasive removal activities for the next several weeks is listed below. It will also be available on our Facebook page. Seth will be on site from at least 9 a.m. to 6:00 p.m. each day. Feel free to come at any time and stay as long as you are able to participate. Let Seth know when you plan to be there or call when you arrive. Cell phone service can be spotty at times so look for cars and notes or maps to the area or areas that he will be working. Seth will have gloves, bags and any other tools required but feel free to bring your own if you prefer. Please bring any snacks or food you prefer and drinks of your choice. You may call Seth or any AOA staff directly for more information or directions (AOA office phone = 614.721.2656). Get out and enjoy the peace, serenity and beauty of the woodlands and catch the last of the spring wildflowers while helping provide conservation stewardship. Our next volunteer day will be at Mercer Woods on Wednesday, May 17th. Map to Mercer Woods is below. Note: Please check back as more dates may be added and locations may change. Updates to the dates and places will be posted to Facebook.